In the North of Portugal there are eleven courses located in absolutely inspiring natural settings, ideal for those who seek both a relaxing and stimulating physical activity, always in touch with nature and in the middle of breathtaking landscapes. If you add to all this the gastronomy and the wines, among the most appreciated in the country, you will easily understand that you are in for a unique and complete experience. 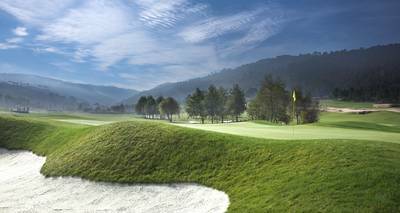 The Northern Portugal combines the splendour of nature – the view of the Serras do Marão and Aboboreira is a must – and 18 holes of pure challenge, raking among the top Portuguese golf courses. Whitin the Greater Porto area, there are several reference golf courses. Take advantage of the trip you have destined to golf and visit one of the most beautiful cities in Europe and get to know the busy nightlife of its downtown. Golf is an increasingly popular sport in Portugal, especially in Northern Portugal, which has steadily gained fame among golfers. Whether with a view of the sea or of the mountains, there are various places where you can play golf. If you are a golfer, you will love the facilities. If you are still not a golfer and would like to learn, don't worry: you will find courses to perfect your techniques. 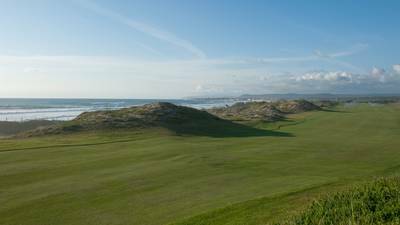 Book your golf tee times on the Northern Portugal with Justteetimes.com, your one stop source for online golf tee times and green fees anywhere.